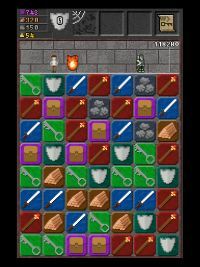 The game has very simple mechanics similar to Bejeweled or Puzzle Quest with a very, very light RPG element to the game. As you match 3, 4, or 5 tiles on the playing field, your adventurer moves deeper and deeper into the dungeon. Along the way your character encounters treasure chests, locked doors, and multiple different types of monsters that impede your progress. Match tiles before the timer runs down or your adventurer will be squashed! Depending on the tiles that you match on the playing field, your adventurer does different things in the dungeon animation along the top of the screen (open chests, unlock doors, battle monsters). 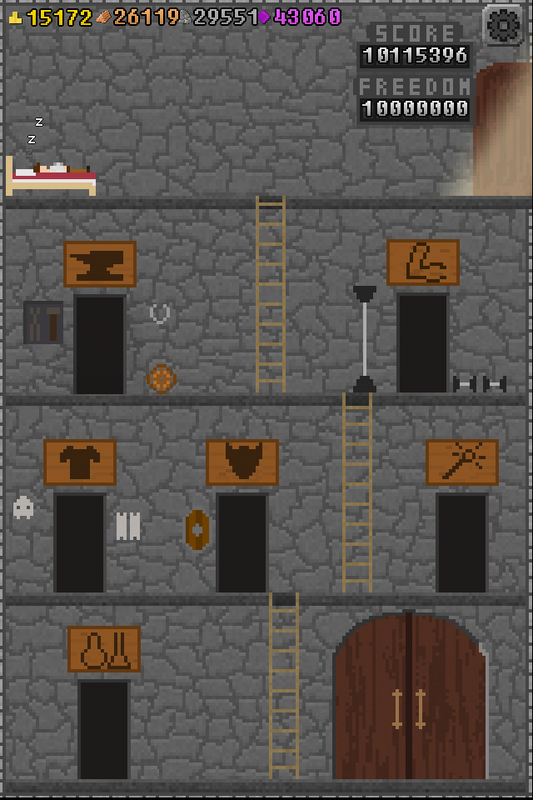 Between levels you are able to use earned gold, wood, stone, and magic points to increase the effectiveness of your adventurer as he pushes deeper and deeper into the dungeon. 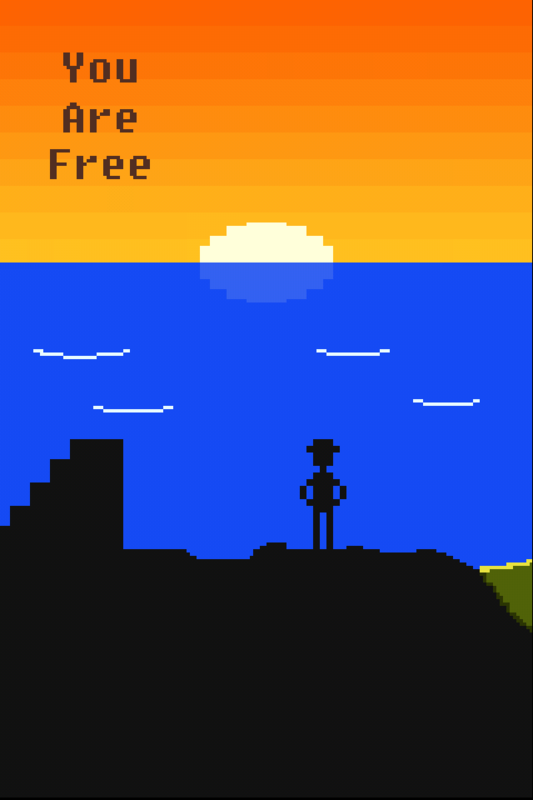 Once your character reaches 10000000 you are able to escape, free of the shackles of the addictive nature of this simple game. But what happens once you are free? I just won the game tonight and it took me a little over seven hours! I have no idea how I got so sucked into this game but I found myself addicted and playing it constantly and at any opportunity. I found that within a few minutes of gameplay I was capable of getting just enough stuff to level up an item or two, which allowed me to venture just a little further into the dungeon, and earn more stuff, and then go buy more and venture further…you get the point. At $1.99 it is one of the more expensive apps that I have bought for gaming but I clearly got plenty of play time out of it! It is fun, addictive, if not somewhat repetitive and unclear as to how your leveling is truly affecting your progress, but an easy time waster with little need to think too hard. Venture forth and see if you can free yourself from the dungeon!